What's Happening in Green Tech? A few years ago it seemed that the word “green” was all the rage. Everywhere you turned it seemed that people were looking online to find ways to reduce their carbon footprints, help others do the same and to find the newest ways in which we could reduce our impact here while still enjoying the things we loved. In the past couple of years, the term as a whole has gone down in its use, but that doesn’t mean that the movements to make technology more ecologically friendly have stopped. Far from it, in fact. In reality, it’s turned into a scenario where we’re simply practicing green principals as a standard, rather than an exception. Need some proof? Let’s look at examples of how some of the biggest name in technology are “going green”. A few months ago, when Facebook unveiled its new datacenter, the abundant use of solar power took a lot of people by surprise. But there was more to the green factor of Facebook than just that. In fact, the solar array only powered the buildings around the datacenter itself. 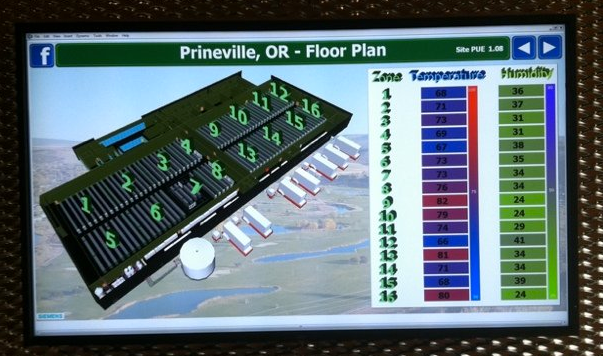 Inside of the center itself, all of the temperature controls are handled in a very unique way. In a traditional setup, huge AC and heating units will work hard to make sure that temperatures are controlled precisely. In Facebook’s new center, almost all of the environmental control is handled via fans, pulling clean air in from outside, adding to or taking away humidity and then it is forced through the servers. The end result is a huge difference from what we’ve seen in the past, and it’s much more energy efficient, as well. 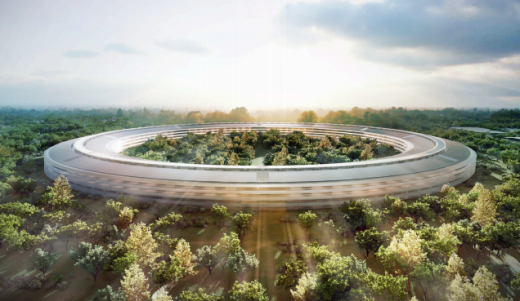 When Apple unveiled the plans for its proposed new campus, the first thing that everybody noticed was that it looked like a spaceship. But if you watched the city council meeting where Steve Jobs talked to the Cupertino city powers, you might have noticed that Apple is doing some very unique things in powering its new home once it’s built. Jobs stated that the campus, which is set to house up to 13,000 employees, will run on its own alternative power sources, relying only on “the grid” for backup. While Apple has never been one to shy away from “going green” with its commitment to how it builds its products, this is a huge undertaking, even by the company’s standards. In fact, Apple plans to plant so many trees in the existing area that it will actually become carbon negative in its footprint. You might know the company for its work in search, display ads, Android phones and other technology, but Google has another passion, as well – the wind. 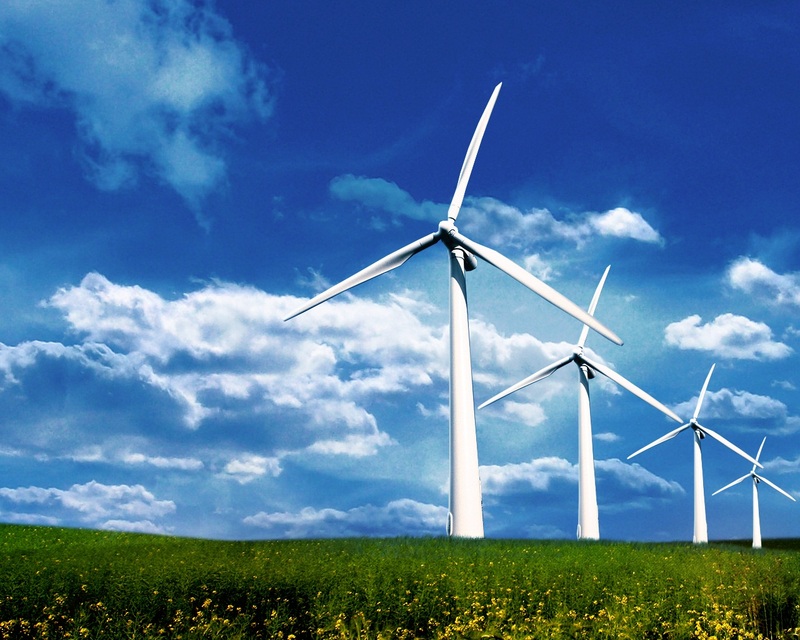 The company has invested a total of $350 million thus far into different sources of wind power. Most recently, it put $100 million into the world’s largest wind farm, an 845 megawatt production facility in Oregon. Fortunately, that investment will help the facility in its goal toward building a 30 square mile facility, at a total cost of nearly $2 billion. It is not, however, the company’s first foray into green. Back in 2007, Google launched a program that was aiming to search for a source of renewable energy that is cheaper than coal, with a goal of spending “tens of millions of dollars on R&D”. When Toyota’s Prius hybrid came onto the market a few years ago, it was only driven by Hollywood’s rich and famous. These days you’re very likely to see a Prius as a cab, or to be driving next to one on the highway. As such, it’s a testament to the changing minds that we as consumers have when it comes to green tech. But Toyota is far from alone. Nissan released the all-electric Leaf earlier this year, and it has been met with a huge demand in the market. The holdback, however, is that being all electric means that you have a very limited range at which you can travel before you have to plug in and recharge once more. The answer to that, it would seem, is to use an electric vehicle that has an engine to back up the generator. It’s with that idea in mind that General Motors went to work with the Chevy Volt, a car that I had the chance to drive in Detroit last week. The Volt is very unique in that it offers an all-electric cruise range before switching over to engine power. As such, typical Volt drivers are seeing skyrocketing milage per gallon because they’re having to drive far less on gasoline alone. What’s interesting about the Volt, the Prius, the Leaf and others is that when you climb inside, it’s somewhat futuristic. 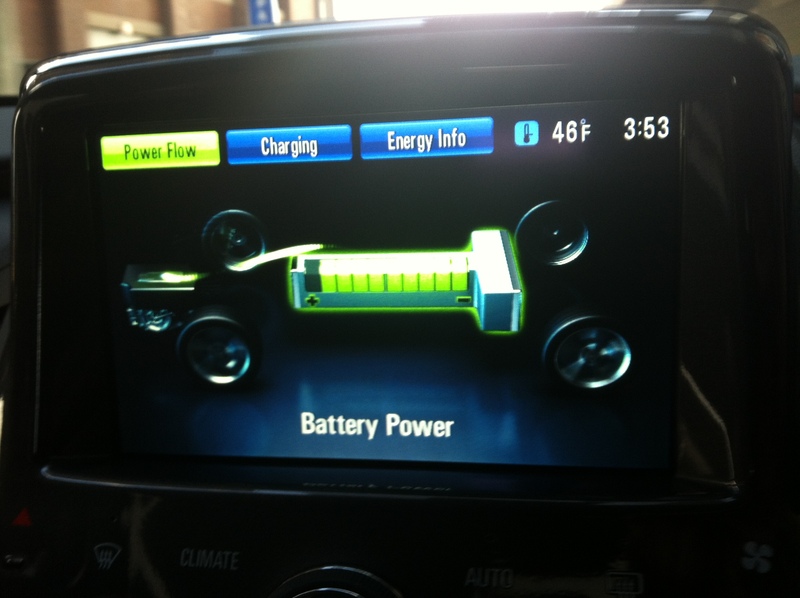 As you can see in the image above of the display for the Volt, there’s a heavy focus on showing you the technology of the car and what’s happening at any given time. Heck, there’s even a “game” on the dashboard of the hybrid Toyota Camry to show you the ideal acceleration patterns. There’s a lot that you can do, and it’s not as hard or as expensive as you might think. A few months ago I looked at what it would take to even switch 1 room of my house completely over to solar power, and I was surprised at what I found. Interestingly, this is when I realized that “green tech” wasn’t dead, it was just how we operate today. So what’s on your mind about going green? Is it a concern for you? We’d love to hear your thoughts in the comments.